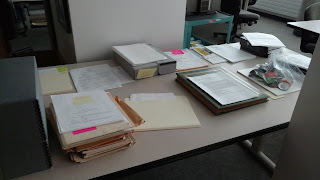 It is the beginning of fall term and my students have been helping me to process multiple collections in numerous formats. 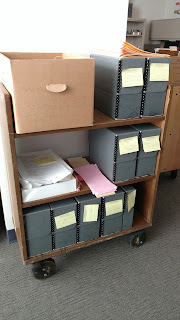 There is more to process in the stacks, but this gives you an idea of the variety we are processing. 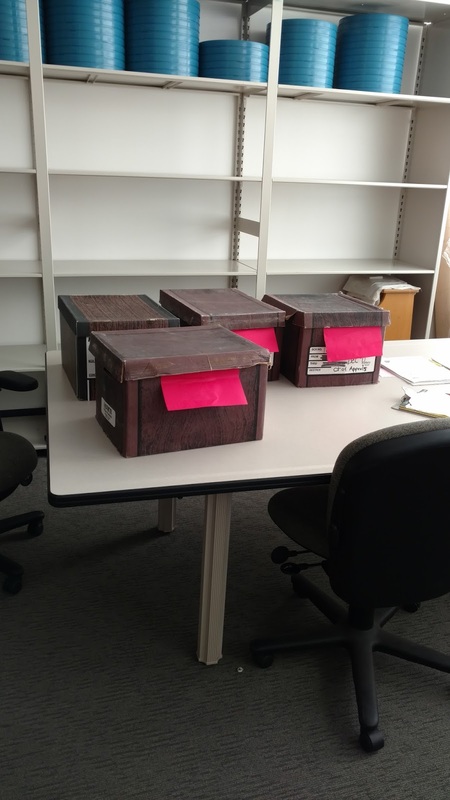 These are a few boxes which are being sampled by a student who will be on an internship here this term processing one of the more difficult and complex of MI Supreme Court Justice Elizabeth Weaver's papers. 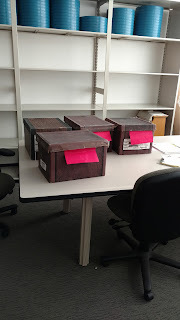 There are several hundred cubic feet of her collection in the stacks. This is my table of about 10 different collections that I'm processing including archaic media videotapes, scrapbooks, papers, pins, and digital materials. This is an addition to the CMU. Park Library collections, of the Dean's office materials. 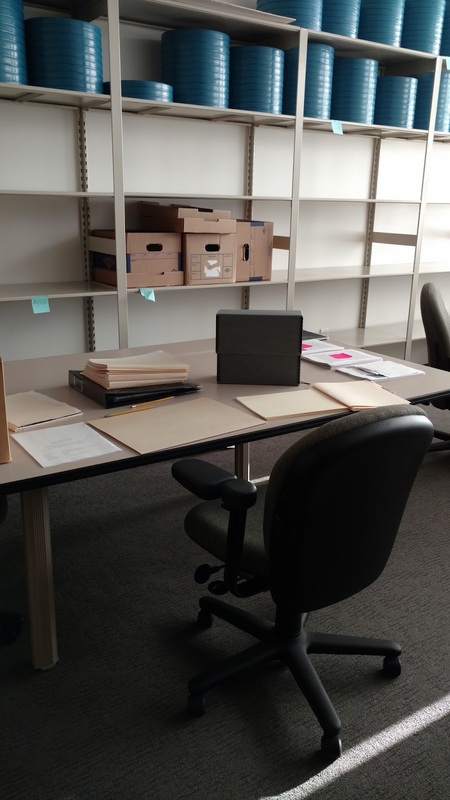 Another student is working on this prior to beginning his internship. 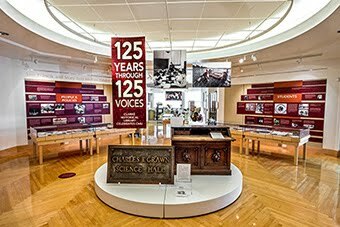 He'll be processing a larger mixed format collection of early Clare History. The top two images also show the blue film containers two students are rehousing Channel 9 & 10 film into following, rewinding, identifying, splicing, and reorganizing of the film. More on that later. Yes, we have a lot happening in my unit.